Michael Trent Reznor (born May 17, 1965, in Mercer, Pennsylvania) is the founder and mastermind behind Nine Inch Nails. Reznor was born and raised in the western Pennsylvania town of Mercer in a Lutheran household (although Reznor now states that he believes in God, but has no actual religion). Because he has the same first name as his father, he was called by his middle name to avoid confusion. In late 1970, soon after the birth of his little sister, Tera, Reznor's father left and his parents divorced. He and his infant sister were sent to live with their maternal grandparents, primarily because it would have been too difficult for their mother to raise them by herself. Reznor's grandmother decided that the 5-year-old should take classical piano lessons. Over the years he became immersed in music and has been compared to Harry Connick, Jr. by his piano teacher. By the time Reznor was in high school he discovered horror movies and rock music. KISS and David Bowie were his heroes. His grandmother considered pulling him out of school so that he could focus on his piano studies full-time, with the hope that he would become a classical pianist. Reznor did not want this and instead became active in Mercer High School's Marching Band, Concert Band, and in theater. He played tenor saxophone and tuba in the school bands, even winning Top Woodwind at one point. He also played Judas in the school's production of Jesus Christ Superstar and landed the title role in The Music Man. Reznor graduated from high school in 1983 and went on to study production at Allegheny College. It was around this time that he joined his first "real" band, Option 30. They became popular in the college scene in western Pennsylvania and eastern Ohio but Reznor clearly wanted to get out and see more. After a year in college, Reznor dropped out of school and left Option 30. He was offered a job as a salesperson at a specialty keyboard and pro audio shop, Pi Keyboards and Audio, in Cleveland and moved there. While working there, he met Bart Koster, who was building a new recording studio, Right Track Studios. Koster was impressed with Reznor's skills and offered him a job as a studio technician before he even moved into the building. In Cleveland, Reznor also reconnected with Chris Vrenna, whom he knew from high school, and they became roommates. The day jobs helped Reznor pay the bills but, like in Pennsylvania, he became active in Cleveland's music scene. Reznor's first band in Cleveland was a cover band called The Urge. This band drew crowds and Reznor got some recognition. When he left the band months later they lost much of their audience. Reznor briefly re-joined before parting ways again shortly thereafter. In 1985, he joined The Innocent as a keyboardist, but left the band after three months. In 1986, he joined the Exotic Birds as a keyboardist and back-up vocalist with Andy Kubiszewski (who would later join Stabbing Westward) and, at one point, Vrenna. The Exotic Birds received some national attention after playing a few gigs with the Culture Club, but Reznor's tenure with them would not last. This was followed by keyboardist positions in Slam Bamboo and Lucky Pierre. But all the while, Reznor wanted to be able to do his own music and be his own musician. In 1988, Reznor was finally able to write his first "real" song. It was entitled "Down In It" and was recorded as part of a demo during Reznor's spare time at the studio. After trying to come up with a name for his solo project (an early contender was The Crown Of Thorns), he settled on the name Nine Inch Nails (NIN for short) because "it sounded menacing, it was catchy, it stood the two-week test, and it could be easily abbreviated." He later befriended John A. Malm, Jr., who would become his manager for 15 years. The demo (known as Purest Feeling) was shopped around to various record labels. Ultimately TVT Records, known for its TV music compilations, signed Reznor and offered to help him release his music. Reznor reworked many of the demos he recorded and even added some new material to his debut album, entitled Pretty Hate Machine. After its recording he assembled a small live band, inviting Vrenna to join him as one of his bandmates. This band played some small shows in Cleveland and was eventually invited on the road by Skinny Puppy. The band would eventually be invited to join the first Lollapalooza tour, where they became one of the most popular bands on the tour. By the time 1991 rolled around, Reznor was in a miserable state. The label was pressuring him to record more material but was trying to tell him which producers to use and how the material should sound. Reznor wanted out of his contract and secretly recorded an EP in various locations around the world. The EP, titled Broken, was released in 1992 and explained the situation to its buyers. The EP was released by Nothing Records, which Reznor and Malm established to help him get out of his contract. Eventually TVT settled with Reznor, allowing him the creative freedom he wanted, but they would distribute future releases. It was during this time that Reznor was in the process of recording the second NIN album, The Downward Spiral. It was recorded in a Beverly Hills mansion-turned-studio dubbed "Le Pig" that would later be revealed to be the house where actress Sharon Tate and others were murdered by followers of cult leader Charles Manson. Reznor had also befriended a Florida-based shock-rock band, Marilyn Manson, who would sign to Nothing Records. The Downward Spiral was released in March of 1994 and had a significantly different sound. Reznor was much more experimental, creating soundscapes and improvising in the studio rather than having something written beforehand. It was touted as a concept album, describing someone throwing away everything in his life in hopes of finding some sense of peace. The album was a personal and commercial success, but with the increasing exposure, Reznor's personal problems began to multiply. He found himself turning to drugs and alcohol often as an escape from the pressure put on him by the media, the label, and even himself. The extensive touring behind the album didn't help his problems, either. It would be the mud-soaked Woodstock '94 performance that would thrust Reznor into the national consciousness. Broadcast on Pay-Per-View, the visceral performance would make Reznor a superstar among the many bands and musicians who were active at the time. However, the sudden national fame and recognition only accelerated Reznor's increasing problems. 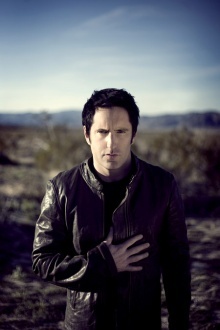 By the end of the touring cycle (known as the Self-Destruct tour), Reznor was miserable. He had sunk into addiction, and pressure from the label to begin work on a follow-up to The Downward Spiral took its toll. He stepped back for a little while and took time to sort things out. In 1997, Reznor collaborated with David Lynch on the soundtrack for Lost Highway, which resulted in a new standalone Nine Inch Nails single, The Perfect Drug. A home video package entitled Closure was also released that year, compiling tour footage from 1994-1995 as well as most of the music videos that had been made up to that point. These releases helped to appease fans during the long wait for the next album. The time between the end of the Self-Destruct tour and the release of The Fragile was one of reflection and realization for Reznor. He checked into a Florida rehabilitation center to deal with the drug and alcohol problems that plagued him throughout the last tour. Shortly after completing the program, he received word that his maternal grandmother had died. Reznor was completely devastated by this news and went into counselling to help him deal with his loss. Through this event he managed to write a song that conveyed his emotions and thoughts ("I'm Looking Forward To Joining You, Finally"). He was back in the studio working on the follow-up to The Downward Spiral, which would turn out to be an ambitious, 2-disc epic of soundscapes. The Fragile was released in September 1999 and debuted at the top of the Billboard album charts. It soon fell off the charts due to a number of factors. Among them were a lack of marketing from the record label and the sheer length of the album. Reznor decided to celebrate the album's chart debut with a drink, which led to a relapse into drugs and alcohol. Touring began shortly after the album's release. The Fragility tour would last a total of 8 months and travel the world. During the US tour, Reznor rekindled his friendship with Brian Warner, frontman for the band Marilyn Manson, which had soured in 1997 following the release of the Lost Highway Soundtrack. Initially Manson was offered the producer position but Reznor ultimately got it. The friendship was revived in part because of changes in popular music. As the tour progressed, Reznor's health declined as his addictions got worse. It culminated with a tour stop in London, when Reznor overdosed on heroin, prompting a long-awaited concert to be cancelled. Citing Reznor's privacy and not wanting to bring about a media firestorm, the band's management explained that another member of the band, new drummer Jerome Dillon, was sick with a stomach flu. After the cancellation, Reznor apologized and explained the situation. He understood that people were angry about it and he stressed that concerts are never cancelled without a valid reason. Overdosing on heroin was a wake-up call to Reznor, who now could not deny his problems. Worse news came in 2001, almost a year after the Fragility tour ended. While working on a live CD and DVD chronicling the US leg of the tour, a studio technician Reznor befriended was shot and killed in a gang-related crime. Seeing that his addictions had contributed to gang activity, Reznor was determined to get his problems under control. On June 11, 2001, Reznor checked into a New Orleans rehabilitation center and endured a cold-turkey withdrawal experience that makes him shudder to this day. Upon leaving the facility, Reznor was more determined than ever to stay clean and sober. He finished the live set, titled And All That Could Have Been, and began to focus on other projects. Among his projects were Tapeworm, a collaboration with Tool/A Perfect Circle singer Maynard James Keenan, and producing former Rage Against The Machine frontman Zack de la Rocha's solo album. In summer of 2002, Rick Rubin called Reznor in regard to country music legend Johnny Cash recording a cover of the song "Hurt." Reznor was honored and okayed the recording since Rubin has done great work with Cash, and it wasn't very likely that "Hurt" would make the cut. In November 2002 Reznor received a CD containing Cash's cover and wasn't sure what to think of it. About four months later he received a DVD containing a music video for the song. Reznor was flattered, honored, and moved to tears by the results. In 2003, Malm presented Reznor with some startling news about his assets. It was revealed that he didn't have as much money as he thought he did, with his net worth estimated to be somewhere between US$400,000 and $3,000,000. Malm also presented Reznor with a bill asking for US$3,000,000 in payment. Shocked by this, Reznor looked back at the contracts he had signed with Malm and found some errors. Malm sued to collect on the money he claimed he was owed. Reznor countered, claiming that Malm had been holding back earnings. Both suits were combined into one lawsuit by a federal judge in 2004, naming Reznor as the plaintiff, with the case going to trial in New York City in 2005. Malm was fired, and Reznor signed with manager Jim Guerinot at Rebel Waltz. As a result, Nothing Records folded in 2004, being absorbed into Nothing's parent company, Interscope Records. Reznor spent much of 2003 working on his other projects, which never went anywhere. No one in Tapeworm was pleased with the results of their recordings, and Reznor felt that de la Rocha wasn't ready to be a solo artist. The time out of the spotlight helped his psyche and got him to a better place. In addition to finding himself more mentally clear, Reznor was taking better care of himself physically, replacing the addictions that nearly killed him with healthier habits that would aid in his overall well-being. By January of 2004, Reznor was ready to write and record a new Nine Inch Nails album. Reznor encountered a problem in the writing process immediately: he wasn't sure if he could still write music. So he set goals for himself early on: two songs written and demoed every ten days. It was a back-to-basics approach to help him decide if he could write music while clean and sober. The demo process was very stripped-down, consisting of a drum machine, a piano, a microphone, and a computer. From those demos, Reznor would determine what worked and what didn't. He found that the piano element in the demos provided an interesting contrast to the drums, and it would remain in many of the songs. Initially, the plan was to create a concept album called Bleedthrough. As the recording process progressed, the concept was scrapped and became With Teeth, a more song-oriented rock album. It was recorded at Reznor's New Orleans studio, and it would be the last music to be recorded there. Reznor later relocated to Los Angeles, partly to be closer to those in the music industry, but also as a way to avoid a temptation that could send him into another relapse. During the production process, Reznor invited Dave Grohl to play drums on some of the songs, at Dillon's suggestion. Recording was delayed for a few days that September when the city was evacuated due to Hurricane Ivan, which took a more easterly track at the last minute. Production ended in late 2004, and post-production began in early 2005. March 2005 was the beginning of the press junket for With Teeth. Reznor talked about his addictions and sobriety, his reaction to Cash's cover of "Hurt," his impending 40th birthday, and the upcoming tour cycle. A new touring line-up had been assembled, and Reznor was confident in their ablilities. Five concerts had been scheduled with small venue dates throughout April and May of that year. The smaller venues were chosen because Reznor wasn't yet sure if he could still play to crowds as large as in the past. The tour sold out immediately, a sign that NIN's comeback was sorely needed. With Teeth was released on May 3, 2005 and debuted at the top of the Billboard charts. In part its success could be credited to the nearly six years since The Fragile and the fans' dedication. By the end of the year it would be platinum. Despite the album's success, Reznor still had to deal with the lawsuit against his former manager. Since he had to be in New York City to testify in court on May 16 and 17 (May 17, 2005 was Reznor's 40th birthday), he scheduled some tour dates there so that it wasn't all pure business. While on the witness stand, Reznor testified that he had lost trust in Malm, and that he should have read the contracts more closely. He didn't deny that his addictions may have played a role in the problems, but he still claimed that Malm was the one who was holding back on assets. At the end of the month, a jury ruled that Reznor was entitled to all assets under his name plus interest, including the Nine Inch Nails brand. Reznor walked away with an estimated US$3 million. With interest factored in, the amount could be as high as US$4–6 million. Malm could still appeal the ruling. After the success of the club tour, Nine Inch Nails traveled the world, playing at festivals and large venues. Reznor found that he could write music sober and began working on a follow-up to With Teeth, setting up makeshift studios on his tour bus, in his dressing room, and in his hotel room. It was one way that he remained sober while on the road and was one of many safety nets he established to help himself stay sober. No longer interested in the backstage partying, he now found enjoyment in making music, which he once saw as a chore or job. Hurricane Katrina struck New Orleans on August 28, 2005. Reznor was at first concerned about his studio there, but initially it seemed like the city was spared from the storm. The next day, when the city's levee and pump system failed, Reznor was devastated. In the following days, his sadness became anger at the lack of response to the disaster, as he became even more vocal about his disdain with the US government. He was invited to perform on ReAct Now, a telethon organized by Viacom with proceeds going to the American Red Cross to help those affected by the storm. Reznor performed "Hurt" with Cash's lyrical change, and premiered a new song, "Non-Entity," an internet-exclusive performance that would later be made into an MP3 file available for purchase. Proceeds from the MP3 went to the American Red Cross. Reznor decided that guitars used on the upcoming concerts would be sold on eBay with proceeds going to the Red Cross. It was one of many nonprofits that Reznor would go on to publicly support. In January 2006, he joined People for the Ethical Treatment of Animals' (PETA's) campaign against the Chinese fur industry, narrating a video documenting the abuse of cats and dogs used in that nation's fur trade. In February 2006 Reznor revealed that he had adopted a retired racing greyhound, emphasizing animal adoption and rescue. When the Live: With Teeth tour ended in July 2006, Reznor rented a house in a wooded area outside of Malibu to begin turning the sounds created on the tour into a new album. It all started with an ominous daydream about what the world might be like if things in the United States continued on their current path with no change in course. With some of his personal experiences from recent years mixed in, Reznor created the outline for what would be his most ambitious project ever. A European tour was announced for early 2007 in November of 2006, as Reznor was finishing the recording process. In January of 2007, Reznor announced that the forthcoming album would be called Year Zero and that it "could be about the end of the world." Mixing had begun on the album and would finish on February 5. Shortly after mixing was complete, the European tour began, along with what Reznor called the "Year Zero experience." He did very few interviews during this time, not wanting to spoil the surprise. He would become more vocal about his record label and the RIAA during this time, expressing his disdain for what he felt was the wrong approach to dealing with MP3 sharing and leaking songs. The Year Zero experience was Reznor's vision of the world in 15 years if the decline of civil liberties and an endless war on terror continued. People are drugged to keep them complacent and have GPS chips implanted under their skin. Separation of Church and State are a thing of the past and the government can now spy on everyone at every waking moment, even in their own homes. Most significantly, Reznor seems to be asking his fans to take action and prevent this vision of the future from happening, providing sites with downloadable stencils, flyers, and patterns to spread a message against censorship and the decline of civil liberties. Year Zero was released on April 17, 2007, and debuted at the Number 2 position on the Billboard charts. Much of 2007 was spent touring outside of North America in support of the album, with only one US date. When the Performance 2007 tour ended, Reznor returned to Los Angeles to finish working with hip-hop artist/author/actor Saul Williams on The Inevitable Rise And Liberation Of NiggyTardust!. On October 8, 2007, Reznor announced that he was no longer under contract with Interscope, allowing him to be able to distribute any future Nine Inch Nails and solo work in whatever form he desired. He also expressed his belief that being free from contract would enable him to have more direct contact with his fanbase and get his material to them in a more efficient and cost-effective manner. Interscope can still release a greatest-hits collection and is rumored to be compiling both that and a music-video retrospective. Reznor has expressed interest in helping with both of these proposed releases. Following the release of Williams' album and his release from Interscope, Reznor embarked on a musical experiment. The experiment was ten weeks of improvising and experimenting in the studio, and seeing what came out from it. What started as a 5-song EP soon grew into a 36-song collection that became known as Ghosts I–IV. Reznor released the first volume in four parts in a 2-CD set on April 8, 2008. A download and streaming option became available on March 2, 2008. Inspired by daydreams and experimentation, Ghosts returns to Reznor's introversion and self-exploration. Around 700,000 people downloaded or bought the record in the first week of its release. Within the first week of the record's release, Reznor grossed US$1,619,420, which is US$659,420 more than Year Zero grossed in its first year of release. Shortly after Ghosts I–IV was released, Reznor revealed that he was working on yet another "secret project." On May 5, 2008, the project was revealed to be yet another new album. The Slip was released online in the early morning hours as a free download at NIN.com as a way for Reznor to show appreciation to his fanbase for their dedication. A CD/DVD of the album was released on July 22, 2008, limited to 250,000 units worldwide, followed by a concert tour to promote it and the rest of the NIN catalog. In 2009 Reznor announced the end of Nine Inch Nails as a touring entity, citing a feeling of monotony and routine. Following what was then the final Nine Inch Nails show in September of 2009, he stepped away from music for a little while, emerging at the end of the year to announce that he was to begin work on some projects for 2010. In February 2010 Reznor began work on an EP for a new project called How To Destroy Angels, featuring himself, longtime collaborator Atticus Ross, and Mariqueen Maandig, a singer formerly of psychedelic band West Indian Girl. How To Destroy Angels released their self-titled EP for free on June 1, 2010, with a physical release available on July 6, 2010. That same year, David Fincher asked Reznor and Ross to compose the score for his film The Social Network, documenting the rise of Facebook. The score and film were released in fall of 2010. Both were met with much praise and accolades including a Golden Globe win and an Academy Award for Reznor and Ross. On January 7, 2011, Reznor announced that he would once again be collaborating with Fincher by composing the soundtrack to the US film adaptation of the bestselling novel The Girl With The Dragon Tattoo. The film was released in theaters in December of 2011. The new foray into film scoring was a logical extension of what Reznor had previously done with Quake and production work on the soundtracks for Natural Born Killers and Lost Highway. In 2012, Reznor continued his work with How To Destroy Angels, releasing another EP and recording the long-awaited debut album, Welcome Oblivion, which was released on March 5, 2013. The album was supported by a brief tour. In early 2013, Reznor had announced that Nine Inch Nails would be touring again, despite having done a farewell tour in 2009. Several months later, he revealed that a new album entitled Hesitation Marks had been secretly recorded over the course of a year and that he had signed to Columbia Records. He cited his work with film scores and How To Destroy Angels as the source of his revitalized interest in a new direction for NIN. The album was released on September 3, 2013 and was acclaimed by both fans and critics, many of them coming to view it as Reznor's best work since The Fragile. It incorporated more atmospheric and layered sound than had been customary in recent works. Reznor stated that the album was a thematic sequel to The Downward Spiral, being something of a belated epilogue to that album's story and showing the life arc of its protagonist. The world tour that supported the album was the most ambitious one yet, picking up where 2008's Lights In The Sky tour had left off. Each leg had a different look and feel, and the band lineup was at one point the largest one Reznor had ever assembled. As always, cutting edge technology and dazzling displays of light and motion made for a memorable concert experience. On January 21, 2014, the Beats Music streaming service went live, with Reznor serving as Chief Creative Officer. On the same day, it was also announced that Reznor and Ross were doing the score for David Fincher's Gone Girl. The album was released digitally on September 30, 2014 and the film opened on October 2. Beats Music was subsequently purchased by Apple and relaunched under a new iteration of iTunes called Apple Music, effectively making Reznor an Apple employee for a time. In 2016, a host of other score music from Reznor and Ross was announced. In June, the pair released a standalone track for a short film about NASA's Juno Mission. This was followed by the Before The Flood Soundtrack (a collaboration with Mogwai and Gustavo Santaolalla) and the Patriots Day Soundtrack. Delivering on a promise made in 2015 for new music from NIN the following year, the Not The Actual Events EP was officially released on December 23, 2016. In 2017, it was revealed that Not The Actual Events was the first in a trilogy of related releases and the second installment, Add Violence, was released on July 21. Reznor and Ross scores for The Vietnam War as well as the short film The Black Ghiandola followed. The third installment of the aforementioned trilogy, Bad Witch, was released on June 22, 2018. The trilogy was supported with the NIN 2017-2018 touring cycle. That year also saw a partial Reznor and Ross score for Mid90s. It was also announced that Reznor and Ross would be doing the scores for Bird Box, The Woman In The Window and HBO's The Watchmen series in 2019. Today, Reznor is happier than he's ever been. He feels that he has found his calling in life and has found joy in creating music. Although he admits he could very easily relapse into his old ways, because he has been there, he has said he never wants to go back. He and his wife currently reside in California with their children and dogs. Flyentology EP, EL-P (Additional production and vocals, "Flyentology", "Flyentology (Cassettes Won't Listen Remix)", "Flyentology (Instrumental)" and "Flyentology (Acapella)"
Era Vulgaris, Queens Of The Stone Age (Vocals, "Era Vulgaris")—available for download, "Era Vulgaris (Richard File Remix)"
This page was last modified on 15 April 2019, at 15:53. This page has been accessed 697,733 times.